Hello!Project | IXA Ready - Fist On! This is the 1st time ever for AKB48 members to appear on the list and there’s 3 of them in this chart. I’m shocked that Yukirin is no.2 and she even beats Acchan. I wonder how close she was to nabbing the top spot? I can understand how Japanese men have been won over by her charm and beauty. She’s a great girl and so nice to see a newcomer appear so high in the chart. I’m wondering how did Japanese men rate the women on – looks, personality??? If so, some of the names on the chart are a bit dubious….personality wise that is (naming no names!!). I thought I’d make my own top 10 up. Here’s who I would have picked. My no.1 girl is obviously biased on my love for AKB48!!! Just missing out was Tomomi Itano (AKB48) and JunJun (Morning Musume). Who would you choose as your dream girl? Is H!P In Trouble? – Harajuku Shop To Close! I caught news of this on the Twitter feed on the Hello!Online forum. 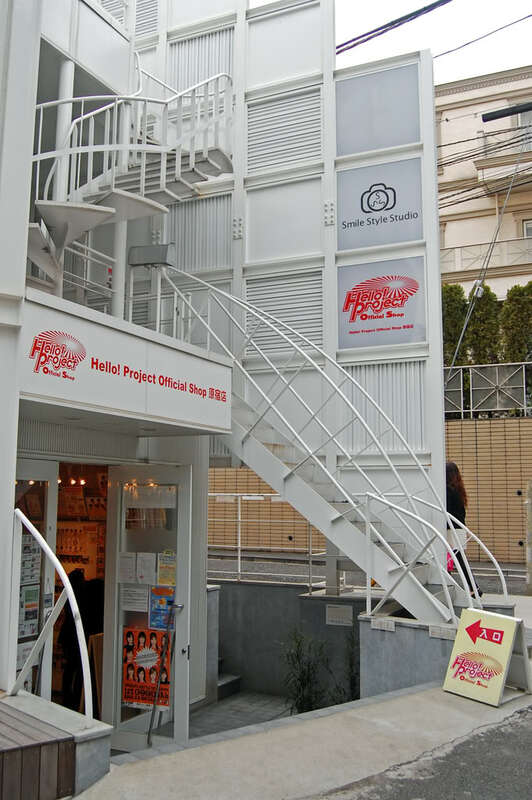 Hello!Project’s shop in Harajuku is to close forever at 7pm on Feb 28th and everything will move to the main shop in Shibuya. Even though I’m not that big of a fan of H!P anymore it’s disappointing knowing that this shop will close. I always go there when I’m on my holidays in Japan just to see if there are some nice pictures to buy. Over the past couple of years I’ve bought a lot of stuff there so I’m quite sad knowing that it’ll be gone soon. The question one must ask is why is this shop closing? Is it part of the global recession and people aren’t buying merchandise anymore or something even worse for H!P fans that their popularity is on the wane and everybody is moving onto the AKB48 bandwagon? Could the Ueno store be closing next? The PV for Berryz Koubou’s 19th single Dakishimete Dakishimete has just been released. First impression is what a brilliant upbeat dance song it is and the PV looks pretty good too. Love the clothes and hairstyles they’ve given the girls. Is this a sign of more mature songs to come from Berryz? The single comes out in the shops on the 11th March.